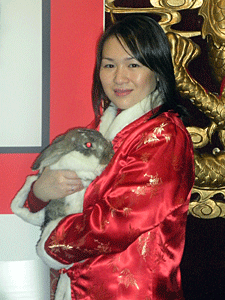 Photo 1: Helen Chen, Rabbit Rescue & Rehab/AC&C volunteer, holding an adoptable rabbit from Animal Care & Control of NYC (AC&C). The Mayor 's Alliance for NYC 's Animals is excited to kick off its Fifth Annual I Love NYC Pets Month taking place throughout the month of February. Today, the Alliance announced at the Chinatown Lunar New Year Parade & Festival press conference that they will be showcasing adoptable rabbits from Rabbit Rescue & Rehab at the 12th Annual Chinatown Lunar New Year Parade & Festival on Sunday, February 6, in Manhattan's Chinatown, organized by the Better Chinatown Society. 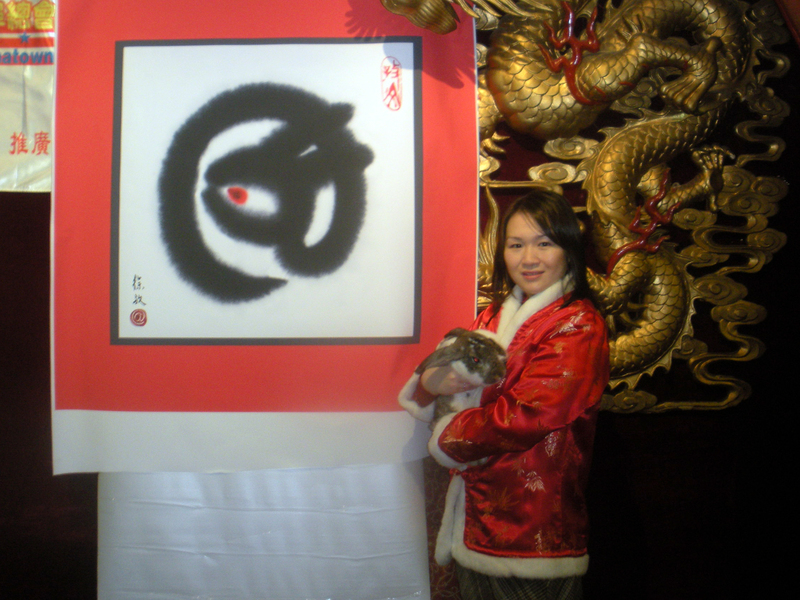 It 's the "Year of the Rabbit," so Rabbit Rescue & Rehab and Animal Care & Control of NYC (both members of the Mayor 's Alliance for NYC 's Animals) will participate in the parade with an animal adoption van filled with a dozen adorable, adoptable rabbits in the windows. The adoption van is provided by another Alliance Participating Organization, North Shore Animal League America. All rabbits will be available for adoption at Animal Care & Control of NYC, located at 326 East 110th Street (between 1st and 2nd Aves). Rabbit experts will be on hand at the shelter to provide information on caring for the newest member of your family and why these adorable animals make great house pets. For more information about I Love NYC Pets Month and the many upcoming events taking place in February, visit www.ILoveNYCPets.org. Photo 2: Helen Chen, Rabbit Rescue & Rehab/AC&C volunteer, holding an adoptable rabbit from Animal Care & Control of NYC (AC&C). 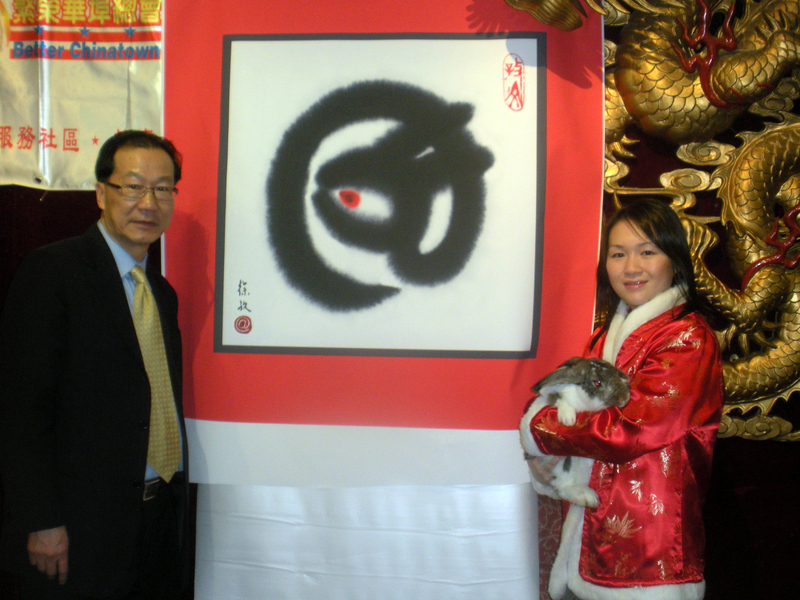 Photo 3: Steven Tin, President of the Better Chinatown Society, the official sponsor of the Chinese Lunar New Year Parade and Festival, Helen Chen, Rabbit Rescue & Rehab/AC&C volunteer holding an adoptable rabbit from Animal Care & Control of NYC (AC&C).